The Israeli Foreign Ministry in Jerusalem. Israel has diplomatic relations with 163 of the 193 UN member states as of December 2018. Israel maintains full diplomatic relations and open borders with two of its Arab neighbours, Egypt and Jordan, after signing peace treaties in 1979 and 1994 respectively. Thirty UN member states do not recognize Israel. These include 17 of the 22 members of the Arab League: Algeria, Bahrain, Comoros, Djibouti, Iraq, Kuwait, Lebanon, Libya, Morocco, Qatar, Saudi Arabia, Somalia, Sudan, Syria, Tunisia, United Arab Emirates and Yemen. A further 9 are members of Organisation of Islamic Cooperation: Afghanistan, Bangladesh, Brunei, Indonesia, Iran, Malaysia, Mali, Niger and Pakistan. Other countries which do not recognise Israel include Bhutan, Cuba and North Korea. 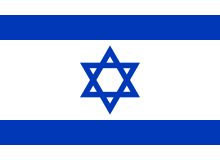 Israel is a member of a number of United Nations and other international organisations. Differences include the conscription of women and its structure, which emphasizes close relations between the army, navy and air force. 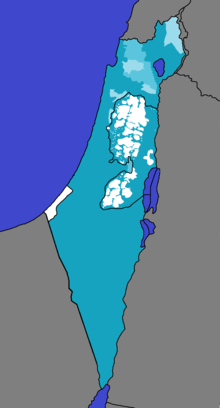 Since its founding, the IDF has been specifically designed to match Israel's unique security situation. The IDF is one of Israeli society's most prominent institutions, influencing the country's economy, culture and political scene. Hebrew (/ˈhiːbruː/; עִבְרִית‎, Ivrit [ivˈʁit] ( listen) or [ʕivˈɾit] ( listen)) is a Northwest Semitic language native to Israel; the modern version of which is spoken by over 9 million people worldwide. Historically, it is regarded as the language of the Israelites and their ancestors, although the language was not referred to by the name Hebrew in the Tanakh. 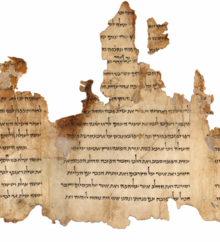 The earliest examples of written Paleo-Hebrew date from the 10th century BCE. Hebrew belongs to the West Semitic branch of the Afroasiatic language family. Hebrew is the only living Canaanite language left, and the only truly successful example of a revived dead language. A kibbutz (Hebrew: קִבּוּץ / קיבוץ, lit. "gathering, clustering"; regular plural kibbutzim קִבּוּצִים / קיבוצים) is a collective community in Israel that was traditionally based on agriculture. The first kibbutz, established in 1909, was Degania. Today, farming has been partly supplanted by other economic branches, including industrial plants and high-tech enterprises. Kibbutzim began as utopian communities, a combination of socialism and Zionism. In recent decades, some kibbutzim have been privatized and changes have been made in the communal lifestyle. A member of a kibbutz is called a kibbutznik (Hebrew: קִבּוּצְנִיק / קיבוצניק; plural kibbutznikim or kibbutzniks). Israeli cuisine (Hebrew: המטבח הישראלי‎ ha-mitbaḥ ha-yisra’eli) comprises both local dishes and dishes brought back to Israel by Jews from the Diaspora. Since before the establishment of the State of Israel in 1948, and particularly since the late 1970s, an Israeli Jewish fusion cuisine has developed. ... that Bronx High School of Science graduate Naomi Amir is credited as "the founder of modern child neurology in Israel"? ... that incendiary balloons—made from condoms or party balloons—and incendiary kites have been launched from the Gaza Strip and started hundreds of fires in Israel in 2018? ... that Amnon Rubinstein coined the term "enclave law" to describe Israeli law in the West Bank settlements? ... that singer Bracha Zefira is credited with bringing Yemenite and other Oriental Jewish folk songs into the mix of ethnic music in Palestine to create a new "Israeli style"? ... that a NIS20,000 offer by Burger Ranch to distribute the Israeli video game series Piposh was turned down by the developers because they were vegetarians? ... that Ofir Ben Shitrit was suspended from her religious girls' high school after singing on The Voice Israel?